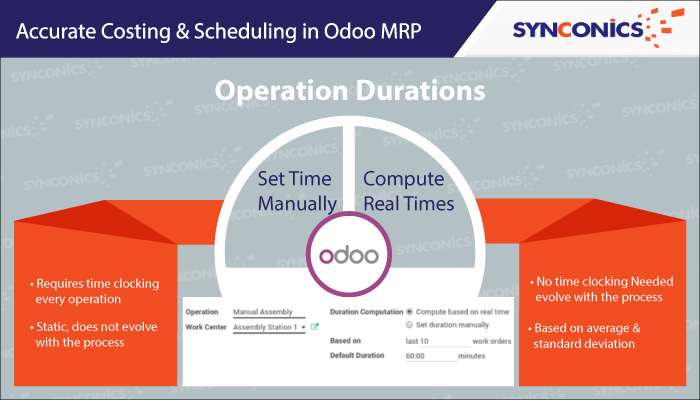 Manufacturing Resources Planning | Synconics Technologies Pvt. Ltd.
Optimize your entire manufacturing process from production planning and process scheduling to quality and compliance while reducing the total manufacturing costs. Balances the supply and demand for all component parts needed to satisfy your master schedule. 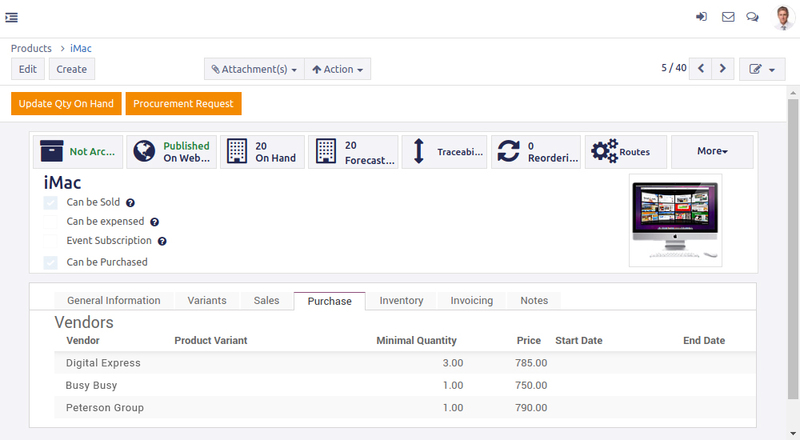 Invoicing, Inventory, Shipping Distribution, Logistic and Manufacturing Processes. Manage repairs of items under warranty or as a service..
BOM: The bill of materials is a file made up of bills of materials (BOM). Each BOM is a hierarchical listing of the type and number of parts needed to produce one unit of finished goods, alternate routing or substitute materials that can be used. 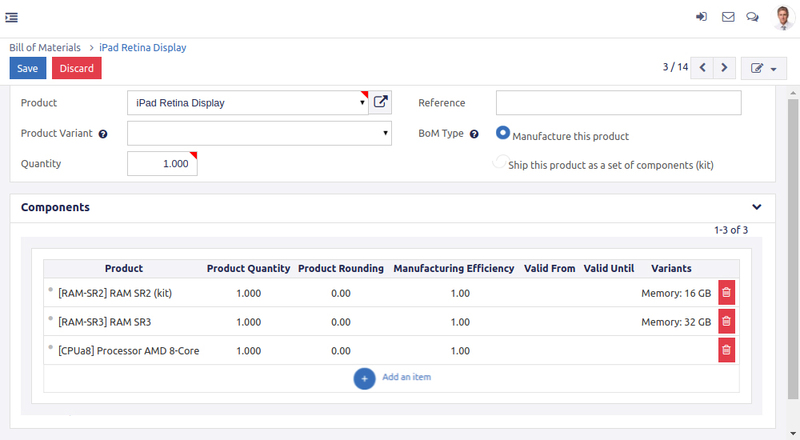 Manage Bill of Materials: Keep track of availability of items in stock and production time. Identify Profit centers, cost centers and production centers are identified and the company can in addition to manufacturing, include departments like. The system ensures the right material, at the right time, at the right place and in the right quantity without the safety net of inventory. 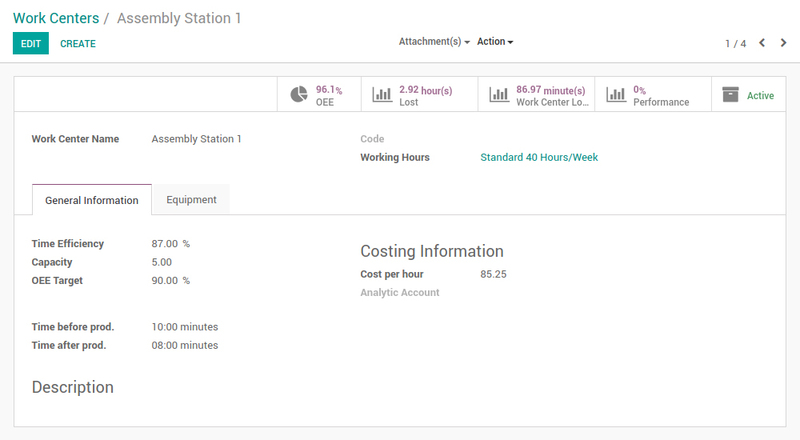 No more time clocking: Get accurate planning directly based on real manufacturing times measured on the workcenter control panel. Design specific templates for each operation and use the set of tools to find solutions for any issue. Tablets: Set tablets on every work center to organize their work efficiently. Record production: Register productions, scan products, lot or serial numbers. Worksheets: Display worksheets directly on the workcenter with instructions for operator. Misc Operations: Scrap products, create quality alerts, perform checks, right from the workcenter. Alerts: Use alerts to show changes or quality checks to the operator. Operation hours are based on average and standard deviations. Clocking every operation manually is still prevalent to this day. It hasn’t evolved with the process. 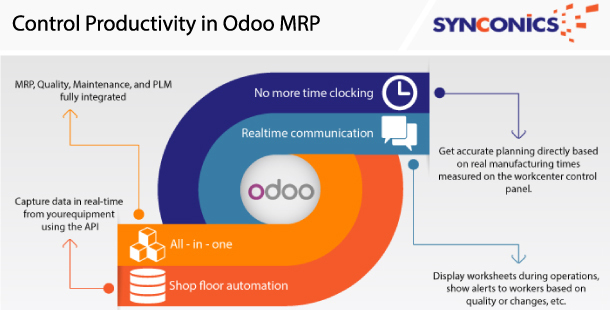 What Odoo MRP has come up with is a very innovative tool that operation hours are based on average and standard deviations. The aim is to get accurate timing which will help in getting accurate costing and scheduling.